Senator Jeff Merkley (OR) and Representative Elijah Cummings (MD) have drafted a bill that proposes to amend the federal wage garnishment laws. 15 U.S.C 1673. The proposed bill (H.R.5664 – 114th Congress (2015-2016)- WAGE Act) would limit the amount garnished for those earning $1,200 or less per week to 10% of disposable earnings. 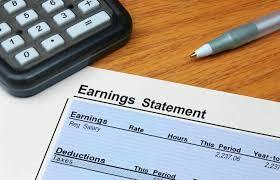 Those earning more than $1,200 per week would be subject to a 15% garnishment. Those numbers would adjust every three years for inflation. The act would also restrict bank garnishments to those sums on hand that exceed the amount identified as the federal poverty guideline for a household of one which is around $12,000. Currently there is no restriction on bank garnishment although arguably garnishment of those funds traceable to wages would be limited by the wage exemption even if deposited in a bank account. For more info see this article. This entry was posted in Uncategorized on July 27, 2016 by kjones. The Consumer Law Section maintains this website as a service to our members. Nothing on this site should be construed as legal advice, and we make no warranty or guarantee concerning the accuracy or reliability of the content at this site or the other sites to which we link.